Alexander Krushelnitsky, the Russian curler stripped of a bronze medal for doping at last year's Winter Olympics, has dropped plans to appeal his four-year ban. 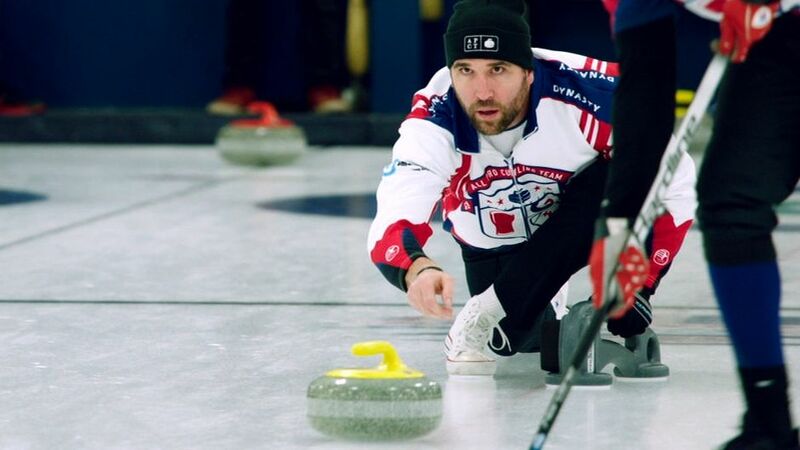 Four former NFL players, including five-time Pro Bowl defensive end Jared Allen, have taken up a new goal now that their football days are over -- making the Olympics in curling. South Korea's popular Olympic silver medalist curlers, speaking in a news conference Thursday, accused their coaches of ruining the team with abusive treatment. Tyler George said he will "step away for a little bit" from the U.S. men's curling team, which won gold at the Pyeongchang Olympics. He will be replaced by 2010 Olympian Chris Plys. Due to a whirlwind media tour that includes stops in New York and on the West Coast, the gold-medal-winning U.S. men's curling team has bowed out of the U.S. nationals in Fargo, North Dakota. Free flights and baseball tickets are just some of the freebies South Korean companies are offering to anyone named Yeong-mi, the first name of the lead sweeper for the women's curling team that won an unexpected silver medal at the Winter Olympics. From the Russian men's hockey team's gold-medal finale to the continued celebrations in curling, we recap the last day of the 2018 Winter Olympics. The Swedish women won the gold medal in the final match of a marathon curling festival, beating South Korea 8-3 in nine ends. The silver was the Olympic hosts' first medal in the sport. After being presented with their gold medals, the U.S. men's curling team noticed the back of them said "women's." The correct medals were quickly swapped out. As the U.S. men's curling team goes for gold, Julie "Loudy" Foudy gets to the bottom of why they yell so much when competing. John Shuster is the first to say that he's had plenty of Olympic disappointment in curling. The American's last name has even been turned into a verb because of it. But Pyeongchang is a different story altogether. The United States beat Canada 5-3 in the curling semifinals and will go for the country's first gold medal in the event. Russian curler Alexander Krushelnitsky was stripped of his Olympic bronze medal after testing positive for meldonium, the Court of Arbitration for Sport announced Thursday. Canada's women's curling team was knocked from medal contention Wednesday, becoming the first Canadian men's or women's curling team to fail to medal since curling returned to the Winter Games in 1998. The Court of Arbitration for Sport says it will hear the doping case against Russian curler Alexander Krushelnitsky on Thursday. Sergei Belano, Russia's women's curling coach, says he's convinced Alexander Krushelnitsky was slipped meldonium without his knowledge, leading to a positive doping test. Krushelnitsky won bronze with his wife in mixed doubles. A Norwegian curler who lost out on the Olympic bronze medal to a Russian rival charged with doping said Tuesday that he feels robbed of his moment of glory; Russian Curling Federation executive accuses U.S. of tampering. According to the Court of Arbitration for Sport, a procedure has been initiated against mixed doubles bronze medalist Alexander Krushelnitsky for suspected doping. The Russian delegation at the Pyeongchang Olympics has announced that one of its athletes has failed a drug test. The New York Times reported Sunday that the athlete has been identified as curler Aleksandr Krushelnitckii.